Reebok Sublite Escape 3.0 - To Buy or Not in Apr 2019? Racers and fans of lightweight shoes– you have met your new best friend. The Sublite model is unique in that is provides cushioning to the entire foot through the use of the Sublite cushioning in the midsole. This is not a shoe for the runner who needs all the newest and fanciest bells and whistles. This shoe is a back to basics sort of shoe. It doesn’t skimp on quality, but it also doesn’t waste time or space on unnecessary fancy technology. If comfort is one of your top priorities as a runner, then Reebok, and especially the Sublite Escape 3.0 is a good choice for you. Between the breathable mesh upper, the sock liner, the Sublite midsole foam and the flex grooves in the outsole, you are given one comfortable element after the next. Since Reebok doesn’t waste time or space with unnecessary flair or gimmicks, the price is super affordable. For a shoe of this quality in another brand, you can easily pay twice the cost. For the runner looking for comfort, affordability, and simplicity in a high-quality road running shoe, you can stop your search at the Sublite Escape 3.0. - Affordability - Reebok doesn't waste time with gimmicks or flair. Their designs are simple and high quality, and because of this, they are able to keep their prices lower than most. - Overall comfort - Is comfort if one of your top priorities, this shoe is calling your name. It offers a breathable upper, sock liner, Sublite midsole foam, and flex grooves in the outsole to provide you with an extra comfortable ride. - Technology - If you are a runner who is looking for all of the latest technology and updates, and bells and whistles, this is not the shoe for you. This is a minimalist shoe. - No special Arch supports - This shoe is suggested for the neutral runner, and while the midsole foam does actually conform to the foot of each runner, the design is not intended to correct arch issue. The upper of the Sublite Escape 3.0 has gone through a few important changes in its evolution. One thing that remains is that the shoe still keeps it design that is low cut. This eliminates a feel of restriction for the runner and allows for freer movement. The material used in the upper is still mesh and still ultra lightweight and breathable; however, Reebok cut back on some of the overlays in order to add an airiness to the shoe. Another slight change to the upper that makes a big difference in this addition is that the tongue is slightly more cushioned. This provides added comfort and padding for the runners, and again, reduces irritation. The upper also features a Memory Tech Sockliner. This gives the shoe a snugness and amazing level of comfort. There are two stand-out features to this shoe's outsole. The first is the use of carbon rubber. Most outsoles are constructed using a rubber material in order to up the durability level, but carbon rubber is the most durable of all. Another feature to highlight is the construction of the underfoot. All you have to do is flip this shoe over to see the unique flex grooves. This design ups the flexibility of the shoe and makes this a more responsive ride as well. The thinner outsole and help make this a responsive shoe too. The star feature of the midsole is the Sublite foam. This foam adds cushioning, comfort and support without adding extra weight. It is also extremely durable and helps the shoe keep its shape over long periods of time and loads of miles. The shoe is suggested for the neutral runner, and it doesn't offer extra technology for the runner looking for added arch support or help with over or under pronation; however, because the midsole foam adapts to each runner's foot, the shoe does offer a higher level of support and stability than some other neutral running shoes. This road running shoe is among some of the best lightweight shoes on the market today. It weighs in at only seven point one ounces. Runners reported that the lightness of the shoe made is especially good for racing and speed work. One of the changes that Reebok made to the 3.0 is that it removed some of the overlays on the upper to create an even lighter ride. The midsole is made from Reebok's patented Sublite midsole foam which adds cushioning without adding weight. 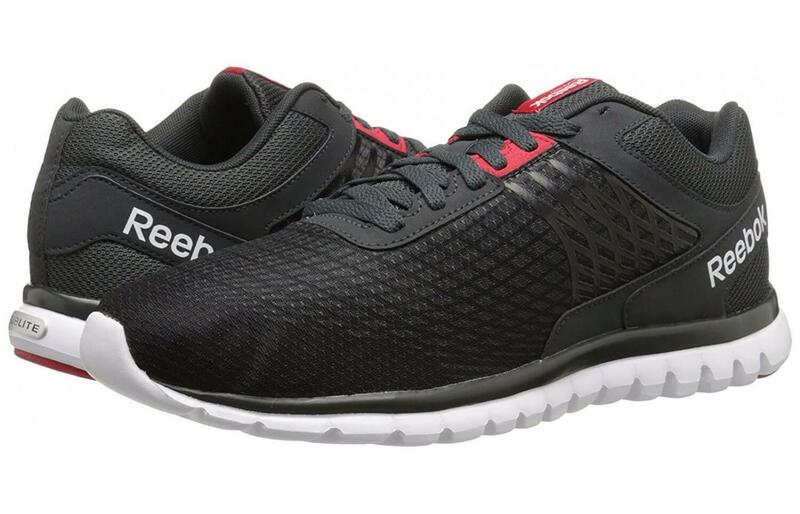 The upper of this shoe is made from a breathable mesh that allows for easy air flow. This helps keep the foot cool and dry even on hot or long runs. Runners reported fewer hot spots and blisters due to irritation in this model than in previous editions of the shoe which could be attributed to the removal of some of the overlays found in the upper. Without the overlays, air is able to flow more freely. This creates comfort for the runner. Reebok doesn't mess around with comfort. It is clear through their designs and the technology they use in their products that they believe the comfort of their runners to be of the utmost importance. In the Sublite Escape 3.0, one of these features is the MemoryTech sock liner. This sock liner actually adapts to the unique shape of each runner's foot to give them added support and cushioning. Not only that, but the upper is made out of a breathable mesh material that keeps the foot cool, dry, and happy even on long, hot runs. Since beauty is in the eye of the beholder, the design of this shoe can be considered a weakness or a strength depending on your taste. The aesthetic design of this shoe is clearly going for a "less is more" look. The color options are simple and offer a more classic design. This is great news for runners who like a simple, classic look to their athletic shoes; however, for the runner who is looking for wild designs, and avantgarde color schemes, this is not the best option for you. The outsole of the Sublite Escape 3.0 makes this one of Reebok's most durable shoes. Reebok included a material called high abrasion rubber in the heel of this shoe. This is an outer layer that protects the shoe from breaking down and supports a longer life for the shoe. The price of this shoe (mentioned above) is really affordable, but when you factor in the durability, the value raises exponentially. The biggest area of protection these shoes can offer is through their blister and irritation prevention. The newest version of this shoe offers an even more breathable upper. Reebok eliminated the overlays to maximize air flow. By creating constant air flow, the runner no longer needs to worry about wetness and odor and this greatly reduces the risk of blisters and hot spots. The tongue of this shoe is also padded which also helps reduce irritation. Finally, the shoe comes equipped with a memory tech sock liner that conforms to the shape of the foot and protects it from irritation. One of the best elements of this shoe is its responsiveness. The bottom of the shoe is covered in flex grooves which allows the shoe to move fast and freely. The responsiveness is high in this shoe, and runners suggest it for speedwork and racing because of its lightness and responsiveness. Because of the great responsiveness, these shoes are a good choice for speed work because they help the runner change speeds and directions quickly and with ease. 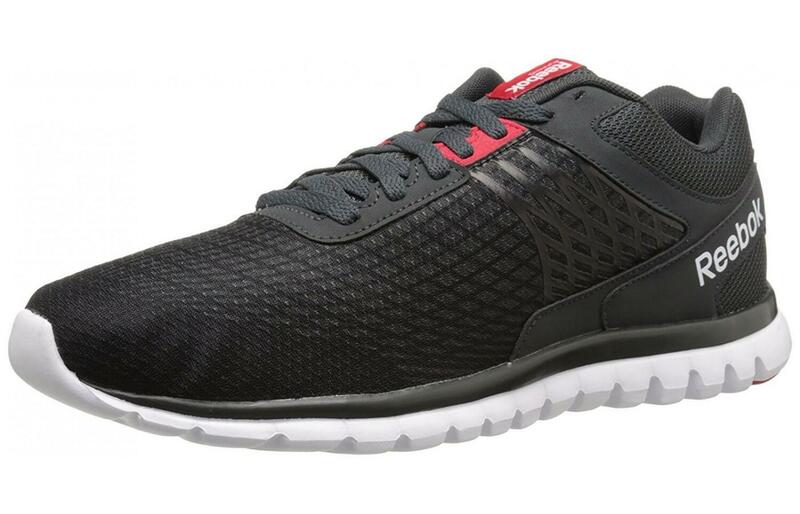 The Sublite Escape 3.0 is a super lightweight shoe. Runners rave that it is unique in that it is lightweight, but still, offers cushioning and support at the same time. The midsole foam, the Sublite foam, provides powerful cushioning but does not add weight. The foam actually conforms to the shape of each unique foot to provide a unique fit for each runner. The upper of the shoe comes equipped with a memory tech sock liner that wraps the foot in support and comfort. This is a shoe for the roads or the track. Since it is such a lightweight, quick shoe, this is a great shoe for track speed work and drills. Runners love this as a mid to long distance racing shoe. While there are great choices for trail running, this shoe is best left to the roads. Frugal runners or runners with a tight budget will love this shoe. In today's market, you will struggle to find a quality running shoe for less than one hundred and twenty dollars, but the Sublite Escape 3.0 can be found for less than even one hundred dollars. Considering the quality, this is a steal. Reebok can keep the price low because they don't spend money on unnecessary flare or technology. Instead, they design a simple shoe that is comfortable, reliable, and high quality. The flex grooves on the bottom of these shoes give an added element of grip that other shoes do not offer. These are not shoes that are suggested for trails, but they can and should be used on uneven road surfaces and hills with confidence. Runners even reported that running on slick surfaces was not an issue in these shoes. 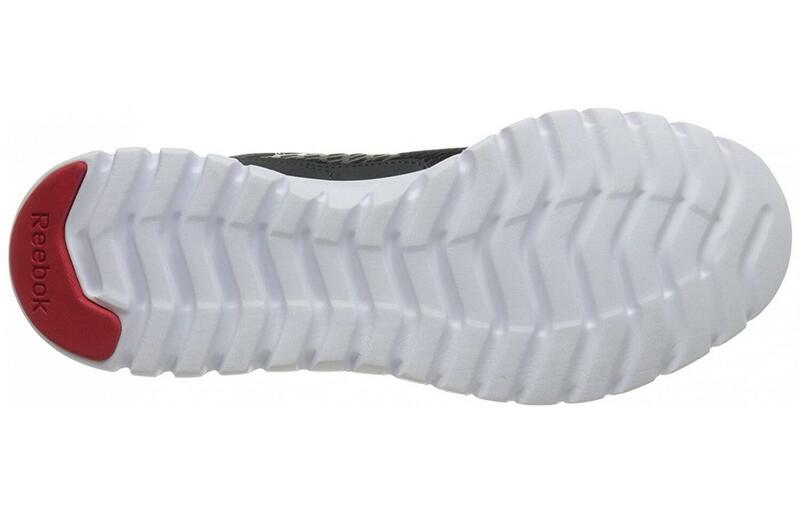 The outsole of this shoe is constructed using deep flex grooves that line the underfoot. These grooves in the shoe promote flexibility and allow the shoe to move in all directions. The shoe is lightweight too, further adding to an overall, very flexible feel. This is a shoe that is suggested for the neutral runner. If you are a runner looking for extensive arch support, support for over pronation, or support with under pronation, this shoe will not give you to much in those categories. The outsole of the shoe is designed to be more on the flexible, responsive side as opposed to the stability side. Additionally, the upper is created with a low cut design to promote movement. This shoe has an eight millimeter heel drop. This puts it in a great range for the runner who is looking to break away from a more traditional drop, which usually comes in around eleven to twelve millimeters, but isn't ready for a natural running shoe. You are going to get moderate support from these shoes, and the cushioning feel luxurious even though its light. - Sublite midsole foam adds cushioning and comfort. 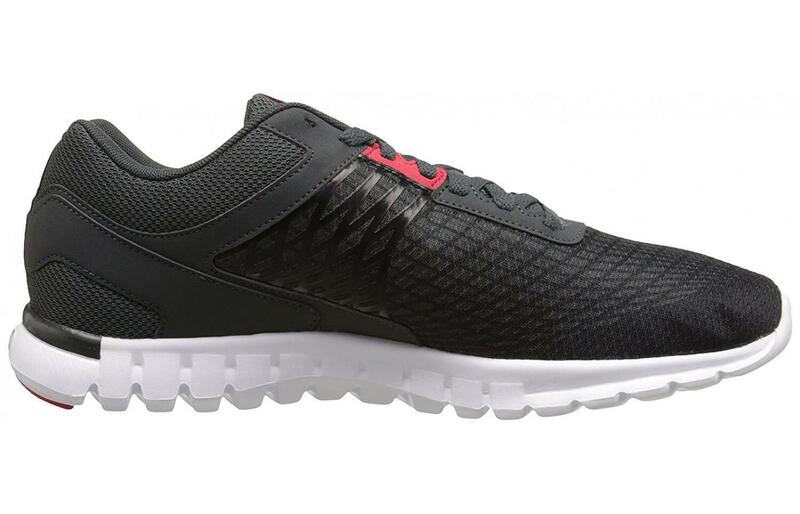 -A Memory Tech Sockliner in the upper gives the runner extra support and comfort. Simple, comfortable, affordable, high quality are the four stand out adjectives to describe this shoe. The Sublite Escape 3.0 is not for the runner who wants the flair and bells and whistles of the news technology; however, if you are a runner who is looking for simple, high-quality comfort and classic style, you may have just found your dream shoe. Even the aesthetic keeps it simple and classy, no bright flash or over the top design here. But what the shoe lacks in flash, it well makes up for in quality and comfort. This is a lightweight running and racing road shoe that can save you some money and still provide you with a reliable running buddy.